So…. yeah. It was Christmas or Easter or something a couple of days ago and I got some presents. I like getting presents, mostly because I like things that I haven’t paid for. 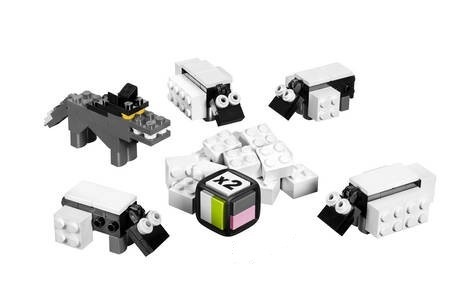 This year somebody thought to themselves: “Adam likes Lego, games and sheep. Does anything combine all three of those three loves?” Well, yes. It turns out that something does. Is it as amazing as it sounds? Well, it’s actually not too bad. Lego have been putting out board games for a couple of years now and some of them are pretty good. They’re fun to put together, the rules are simple and being Lego the games can be modified to suit your preferences. 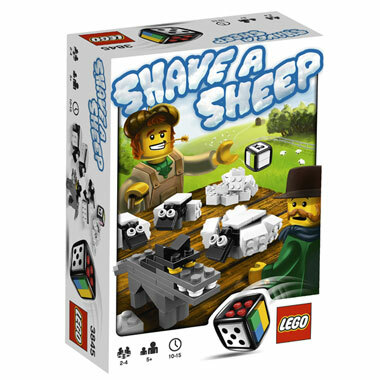 Shave a Sheep is a very fast and simple game for 2 – 4 players. It only takes around ten minutes to play and is a perfect way to kill time with your legal team while the jury deliberates (I assume any cases against you are fairly open and shut). Yeah, I don’t really get that last one either. Anyway, this keeps going until all of the wool is gone and somebody wins. What makes this game into something decent is that it involves decisions. Like I mentioned in my Monopoly review, a game lives and dies on the decisions that it forces you to make. In Shave a Sheep, the faces of the die give you two different actions to choose from. Do you grow some wool and hope nobody takes it off you or do you put the wool you currently have into your score pile? Do you steal somebody’s nice woolly sheep or do you force them to lose it all via the wolf? As the die is customisable you can mix the choices around as well. It’s chaos! Ok, so this isn’t the toughest game in the world to play. In fact it’s best suited to kids and adults who appreciate the silliness of it all. It probably won’t go into the Board Game Hall of Fame any time soon but it won’t be stuck in the back of my games cupboard either. This entry was posted in Gaming (Board), Reviews and tagged lego, lego games, shave a sheep. Bookmark the permalink.